Product Design Youtube Channels List. The Best Product Design Youtube Channels in our index using search and social metrics. Subscribe to these youtubers because they are actively working to educate, inspire, and empower their audience with frequent updates and high-quality videos. About Youtuber Product Crunch is a platform for all those interested in Product Design. Project Managers, Designers, Engineers, Entrepreneurs and more are invited to inspiring talks by people building great products; in Berlin and all over the world. About Youtuber Interested in industrial design and product design specifically? This channel is all about sharing advice and knowledge from what I've learned working as an Industrial designer. Anything except sketching because there is sooo much more to product design than sketching. About Youtuber I make videos that break down my design process including tutorials, walk-throughs, and how-tos. I also share my thoughts on the wider world of design, and give tips for people breaking into the industry. About Youtuber Hi There, I am a Product Design Student based in New Zealand. My videos are about my adventures in the world of product design. About Youtuber Hey! We're AJ&Smart and we are a Product design and innovation studio based in Berlin! Here's where we'll upload videos about product design, Design Sprints, Design Thinking and a whole lot more! We regularly run workshops and training as well as Design Sprints with some of the biggest companies in the world! About Youtuber The latest revolutionary innovative product design and ideas. Keeping up to date with the latest technological advancement and groundbreaking innovations. About Youtuber The Design Sketchbook will accompany you along your learning journey with motivational article and sketching tutorials about industrial design. It helps to put your product design ideas down in a sketchbook. The Design Sketchbook will accompany you along your learning journey with a motivational article and sketching tutorials. About Youtuber Learn product design sketching with me. Here you can find some fast and easy tutorials. Follow and learn more about hand drawing and sketching. About Youtuber Hi there, I'm Kevin Kennedy! A Product Designer sharing my knowledge of Autodesk Fusion 360 with the world. About Youtuber Follow us to keep up with videos on product design from Product designer maker. About Youtuber I'm a Product Designer living and working in the San Francisco Bay Area. I created this channel to help connect people who want to learn more about what a Product Designer does in the Tech industry. About Youtuber Lumise is one of products design tool helps people easy create the best design for printing. Lumise support multi platform and power features. 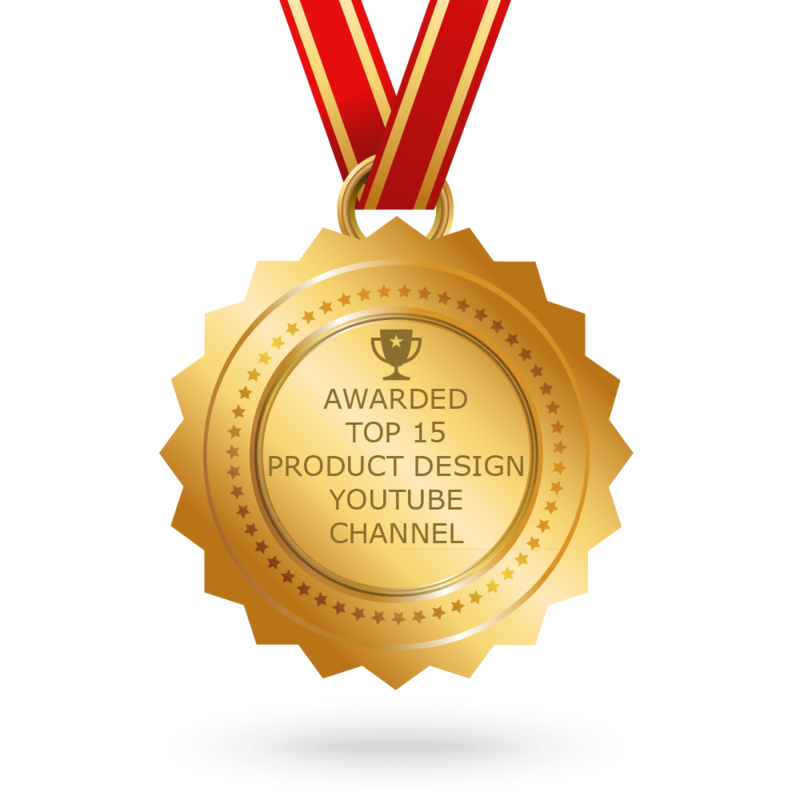 CONGRATULATIONS to every youtuber that has made this Top Product Design Youtube Channels list! This is the most comprehensive list of best Product Design Youtube Channels on the internet and I’m honoured to have you as part of this! I personally give you a high-five and want to thank you for your contribution to this world.